Select the date and time you’d like your home to be cleaned. A Bonded & Insured cleaning professional cleans your home. Our 100% Satisfaction Guarantee means that we don't rest until you are completely satisfied! We communicate openly and honestly - No upselling or hidden prices. 100% Satisfaction Guarantee! If you’re not happy we will make it right. All of our cleaning professionals are Bonded & Insured! We know inviting someone into your home is a big deal. All MaidHonest cleaning professionals are carefully vetted by us so we choose the right person to care for your home. Highly rated by other MaidHonest customers! THE HIGHEST STANDARDS, THE HAPPIEST CUSTOMERS! Carrie and Maria did a fantastic job! On time, friendly, and the most thorough cleaning we have ever experienced. We’ve already booked our next appointment. Easy booking, and the communication from your staff throughout the process took all of the stress out of our first time using a cleaning service. 5 stars, thank you! I wanted to personally thank you for the amazing service yesterday. Anne and Sarah took such care and were so friendly. And the attention to detail, I never knew my home could look so clean! Thank you for making your service such a pleasant experience, I will be recommending you to my friends and family, and I look forward to my next cleaning! The price online was exactly what we paid, your staff never tried to push more services or cut corners. I even learned a few cleaning tips from Monica! You guys really went above and beyond! YOUR HAPPINESS OUR #1 PRIORITY! We take care of your home, giving you time to focus on what’s most important to you. Our 100% Satisfaction Guarantee means our skilled professionals go above and beyond on every job! 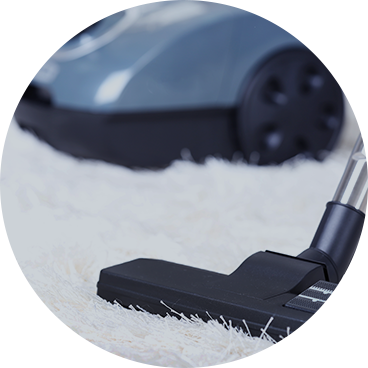 We're just a quick phone call or email away, and we provide automated reminders regarding your cleaning service. Pay securely online only when our service is complete. Our mobile app keeps you in constant contact with your cleaners!